When the disciples asked Jesus to teach them to pray, he gave us what we know as the Lord’s Prayer. 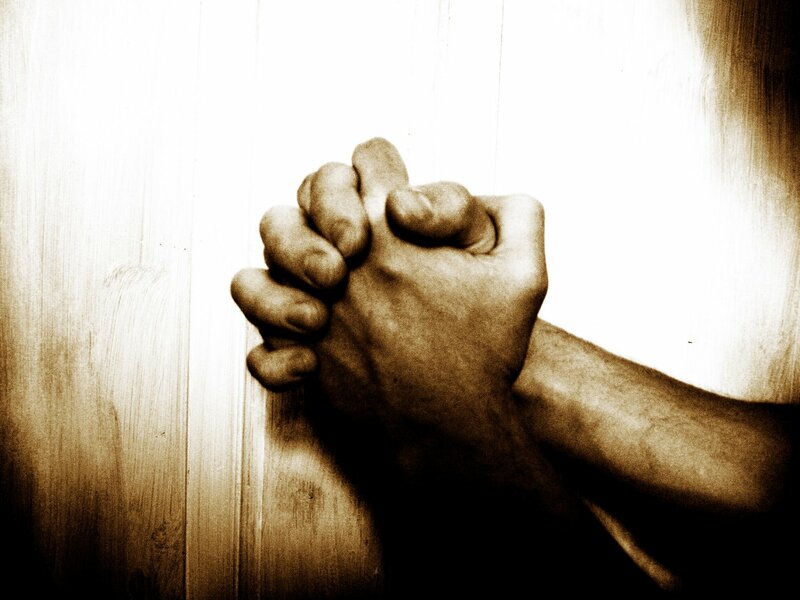 It is a simple, yet magnificent, example of what it means to pray. It is an affirmation in the truest sense. As Jesus says in the Gospel of Matthew, God already knows what you need before you ask him. As I was trying to have some quiet time this past week, I could not clear my head of distractions. Instead, I tuned into a podcast on meditation and prayer. One comment the teacher made stuck with me more than any other. This lesson was about using anything you do as a means to prayer. I may have mentioned before, I pray while in my car. It is often the only time I am alone. While driving, I sometimes concentrate on things that I need to let go of, or I repeat simple affirmations – positive thoughts of thanks and appreciation. Never meditate while driving. Keep your eyes open. The comment that stuck with me was provocative – everything is prayer. As I started to think about this simple comment, a thought hit me. God knows our every thought and our heart’s desire. If we dwell on something, we are lifting that thought up to God. When we have dwelled on our anger, our resentments, our thoughts of revenge – we have technically prayed for God to cause harm to others for our own satisfaction. What are we praying? I am glad that God’s discernment is there to sift through our prayers. You cannot grow spiritually if you are clinging to negative thoughts. Some people go their entire lives bitter and resentful. Some cling to anger and loss. Some people, even those who claim to teach others about Christ, have no joy in their lives. What is the point of faith if you refuse joy? If we are praying negative thoughts by dwelling on them or if we are not affirming our blessings daily, we are not growing. If you are angry at someone, and refuse to forgive them, you are not harming them. When you forgive someone, the forgiveness frees you. They are not bound to accept your words, but you are free from the burden of your own negative ways. Perhaps this is why Jesus tells us to pray FOR our enemies.